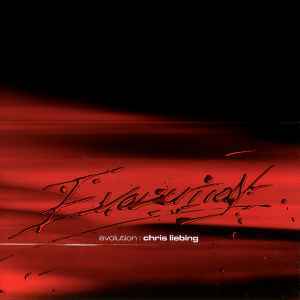 Chris Liebing is one of Techno music’s biggest stars. Having released a long list of tunes for the best labels in the genre, he wanted to wait until he was ready to release his first artist album. Unlike most Techno producers whose collections amount to an assortment of 12” dance tracks, Chris wanted to create a cohesive gathering with a common theme and goal. On Evolution, you will find the requisite Techno monsters (Fires of Hell, Natural Selection and Random Process), but you will also find industrial bangers (Disorder and Chaos) and soundtrack worthy journeys (Two and Half Billion Years), all interspersed with transitions, sound effects and other elements that help the project live as one. With a constant underlying air of tension and uneasiness, this is not something you want to listen to when you are in need of calming. But if you are ready for a journey through the manic mind of a genius, jump on board. It's a semi-mixed promo album. The official one will be 'cooked' in september, 2003. However, lots of tekno fans already got this promo CD in spring, 2003.